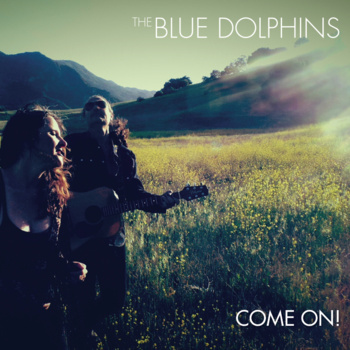 The Blue Dolphins are a Los Angeles-based songwriting duo composed of singer/songwriter Victoria C. Scott and two-time Grammy Award-winning producer/engineer Alfonso G. Rodenas. Characterized by beautiful melodies, tight harmonies and an uplifting positive mood, their musical style embraces Folk, Pop and Rootsy Rock with a unique timeless quality. The duo write in a commercial style both natural and unpretentious, attracting a wide range of listeners with its universal themes and laid-back charm. Their music also has a special appeal with modern adult audiences (AAA). The band’s debut acoustic album, My Favorite Word Is Today (2012), was followed by the EP In Between (2013). Their most recent work Walking in the Sun is due to be released in mid March as and advance of what will be the full lengh album Come On! planned to be release in September. The duo have also released a number of eclectic independent singles. Victoria grew up outside of London, England, fascinated by her father’s collection of Elvis Presley, Fats Domino, Little Richard and Rolling Stones records. After learning to play the recorder, piano and guitar, Scott had also taught herself to sing by the age of 12, emulating the various styles of Carole King, Nina Simone, N’Dea Davenport and Aretha Franklin. Alfonso Rodenas is a two-time Grammy-award winning sound engineer from Spain. His music career began as a bassist in the indie pop-rock band Vitamin Vil in Valencia, Spain, and has since spanned 25 years, the last 11 of which have seen him work as a freelance producer, recording and mixing engineer in Los Angeles, CA. IMG 0289Victoria and Alfonso met fatefully at the legendary rock pit “The Cat Club” on the Sunset Strip in Los Angeles and soon started playing and recording together. Their debut album, 2012’s My Favorite Word Is Today, is a soulful blend of Indie, Folk/Rock and Bossa Nova. Simple and unfettered, they kept their focus on acoustic instruments, stripped down production and emotionally honest vocals. Critics hailed the album. Pamela Des Barres, author of “I’m with the Band”, said the “album’s sentiments touched my heart” and described Victoria’s voice as “just gorgeous”. 2013’s In Between EP grouped songs recorded by the band between its two major works to date. It shows the musical couple departing from its original acoustic sound into an un-mapped new music landscape, full of emergent future possibilities.